In a recent study, we developed a model that shows how the interaction between cultures can influence opportunity creation and integration of immigrants in Sweden. Acculturation is a process that occurs ”when groups of individuals having different cultures come into continuous first-hand contact with subsequent changes in the original culture patterns of either or both group” (Redfield, Linton and Herskovits, 1936:149). 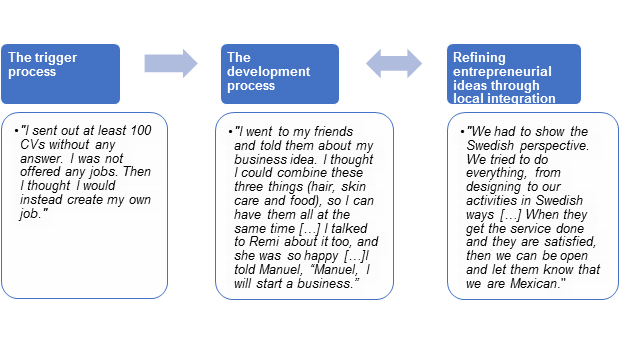 The opportunity creation process happens when an entrepreneurial opportunity emerges over time through a process of interaction between an entrepreneur and the context (Fletcher, 2006; Alvarez and Barney, 2007, 2013; Dimov, 2007). The trigger process implies an immigrant’s disadvantageous situations in the host country’s labour market due to ethnic discrimination, unemployment and/or not fitting into the host country’s culture. We wanted to study how this acculturation process of immigrant entrepreneurs and their process of creating entrepreneurial opportunities influence each other. The study relies on four cases of immigrant entrepreneurs of Cameroonian, Lebanese, Mexican and Assyrian origins who founded their businesses in Sweden. 60 semi-structured interviews were carried out during 2014-2017. It focused on specific acculturation aspects that influence the opportunity creation which were: language ability, knowledge of the Swedish culture, length of residence and family. 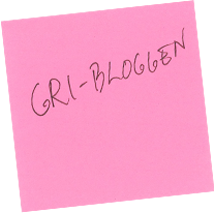 (I) the trigger process implies an immigrant’s disadvantageous situations in the host country’s labour market due to ethnic discrimination, unemployment and/or not fitting into the host country’s culture. One of the entrepreneurs we interviewed said: ”I want to feel like I’m Swedish, but I do not see myself fit in society because no matter how hard I try, nothing works […] Many people would rather employ Swedes because it is easy for them to accept each other and communicate, and there is less of a cultural clash.” However, the situational constrains can also facilitate his/ her potential of becoming self-employed. For example, one entrepreneur told us that he/ she started to think about running his/ her own business after he/she had sent out more than 100 job applications without hearing from any employers. All the entrepreneurs we interviewed emphasized the importance of learning Swedish language and adopting the local culture as a gateway to the business. (II) the development process emphasizes how continuously relating and relying on ethnic cultural background and ethnic peers can help an immigrant develop entrepreneurial ideas. An immigrant can copy or generate new ideas through drawing inspiration from ethnic peers’ businesses, addressing their countrymen’s needs and communicating with them in their networks. First, their intertwinement helps entrepreneurs advance their entrepreneurial ideas and integration to a new host country. Second, the acculturation process evolves while immigrants develop entrepreneurial ideas for their ethnic peers and local customers. Finally, specific acculturation aspects such as being marginalized, relying on ethnic bonding, improving the language ability, and understanding local values influence the processes of becoming entrepreneurs, shaping and refining entrepreneurial ideas. We eventually point that valuing and practicing both the home and host country cultures is key for the economic adaptation and integration of immigrant entrepreneurs in a receiving society. 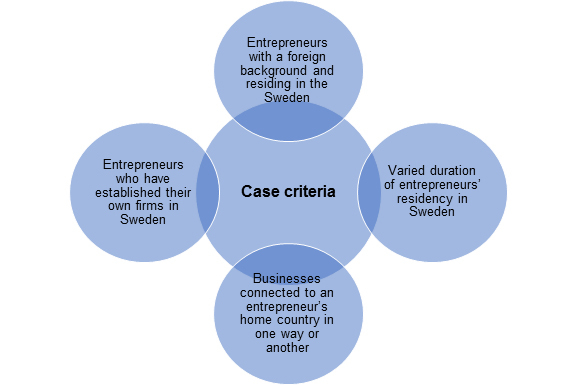 This paper conducts an inductive case study to build a theory on the role of family in both the host and home countries in immigrant entrepreneurs´ attempts at creating entrepreneurial opportunities. We used the perspectives of the opportunity creation process and family social capital. In the autumn of 2015 Sweden received an extraordinarily large number of people in connection with what was later referred to as the ”refugee crisis”. In retrospect, civil society has been a significant force in meeting the most basic needs of the refugees in Sweden. In the long run, civil society has adopted a more strategic approach to social inclusion, not least through associations, as well as labor market integration through efforts aimed at linking newcomers with employers. The need for matching efforts is considered to be significant in reference to the gap in labour market participation between indigenous and immigrant Swedes as well as in a labor market suffering from lack of matching. As representatives of civil society, we intend to provide some practical examples to remedy the above problems. Det här inlägget publicerades i kategorin Integration och taggades acculturation, discrimination, entrepreneur, integration, migration, oppurtunity creation. Spara permalänken.